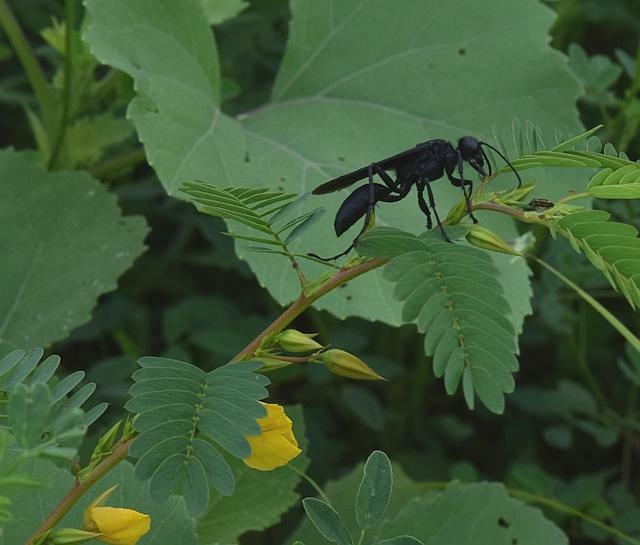 This black digger wasp, Sphex pensylvanicus, was visiting the extrafloral nectaries of partridge pea. It visited several in rapid succession, spending about a second or two at each one. Partridge pea is an annual plant found in tallgrass prairies. It has extrafloral nectaries which secrete a sweet fluid. The purpose of these structures is thought to be to attract ants which protect the plant from insects which would harm it. This wasp was not bothered by ants. 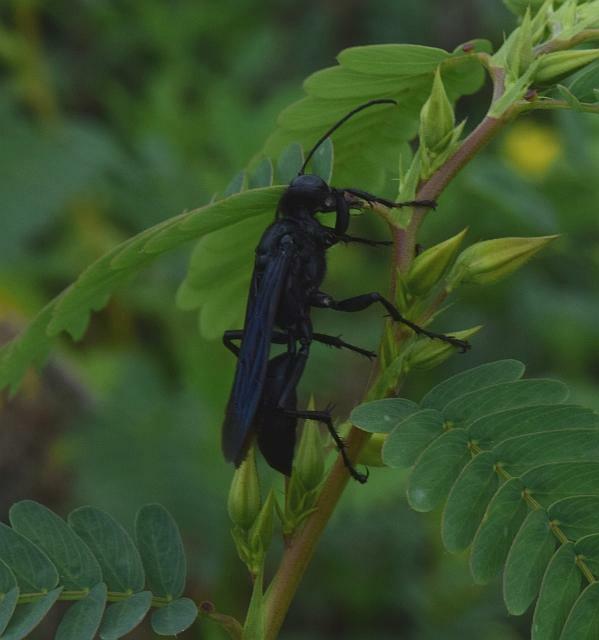 Many insects visit the nectaries, which seem more attractive to nectar-loving insects than the flowers themselves do. 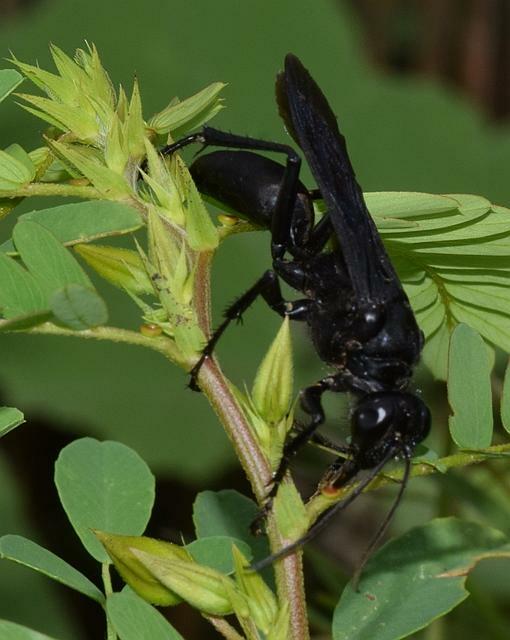 Digger wasps capture insects–usually katydids or crickets, paralyze them, and bury them in holes as a provision for their young. 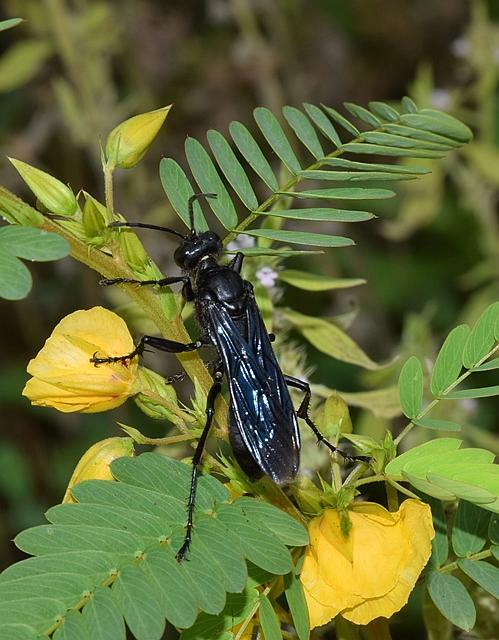 This entry was posted in insects and tagged black digger wasp, insects, sphex pensylvanicus. Bookmark the permalink.